I needed to share my excitement and joy with someone, so why not our fabulous readers?! 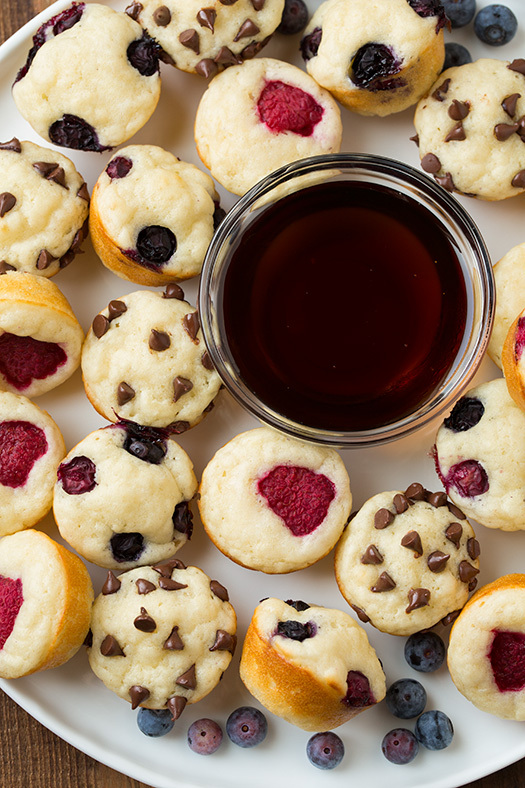 If any of you have a mini muffin pan, I’m definitely going to need to hear your ideas! But here are a few I’m really excited to try. 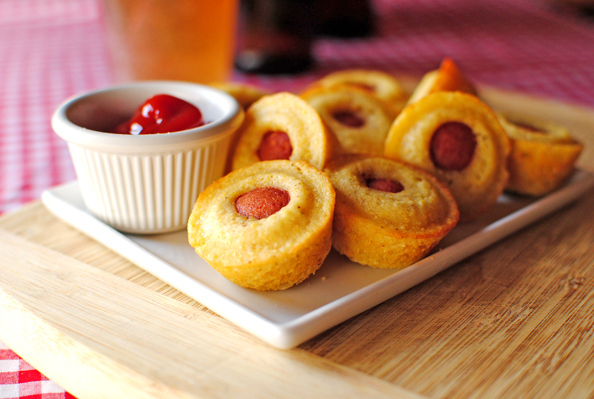 *Mini Corn Dogs- Just use Jiffy Cornbread Mix and slices of hot dogs to create bite-sized corn dogs that I’m pretty sure my kids will go crazy for! Don’t forget the dipping sauce ;). *Mini Taco Salad Bowls- Use a large biscuit cutter to cut out several circles from a tortilla. Fill them with meat, beans, cheese, and bake; then top with your favorite taco salad toppings (sour cream, olives, tomatoes, etc). These sound heavenly! One of my favorite foods in an adorable presentation! 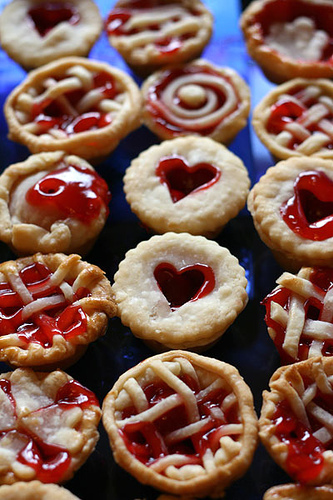 *Mini Pies- using sugar cookie dough as a base (or crushed graham crackers and butter), you could get so creative with all kinds of mini pies! Fill it with vanilla pudding, a banana slice and whipped cream; cherry pie filling with a white chocolate drizzle; chocolate pudding with whipped cream and chocolate shavings; lemon pie filling topped with a raspberry, little pumpkin pies…. So many tasty options!! 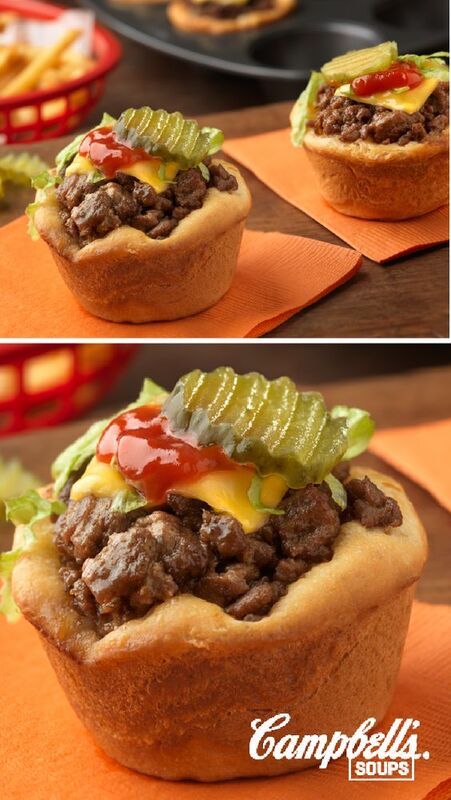 *Cheeseburger bites- Refrigerated biscuit dough, ground beef, cheese, ketchup, and a pickle- all you need for some delectable bites of one of the most classic American foods ;). These just look so tasty! *Mini Cinnamon Rolls- My sister goes nuts for the those tiny cinnamon rolls you can buy from Costco, but they’re just too dry for me… but look out now that I can make my own version with all the gooey frosting I want! And I’ll definitely have to try orange rolls or raspberry rolls…. Mmmm :). 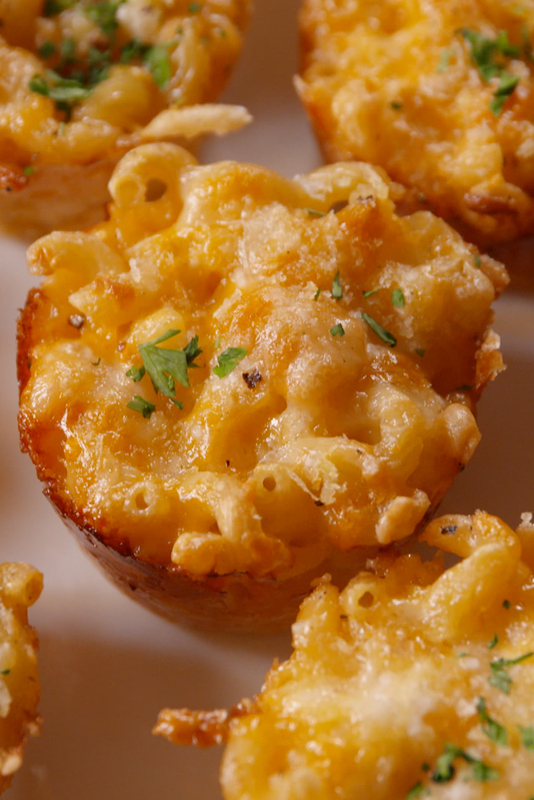 *Mac n’ Cheese Bites- while we’re talking about classic foods, we can’t forget the ultimate comfort food, Macaroni n’ Cheese! Just bake some with a little extra cheese for some seriously comforting and delicious appetizers! You could make it from scratch, or just the boxed kind… I’m pretty sure you can’t go wrong! Seriously, the possibilities are endless- mini cheesecakes, upside down cakes, brownie bites, pizza bites etc. Basically, if you can come up with a base (whether it’s cookie dough or refrigerated biscuit dough or wontons), you could be so creative with all kinds of different fillings! And there’s just something about tiny, bite-sized food… it’s really hard to make it not look absolutely adorable ;). Do you have a mini muffin pan, and what’s your favorite way to use it? Share in the comments below!